My thoughts. My journey. My story. 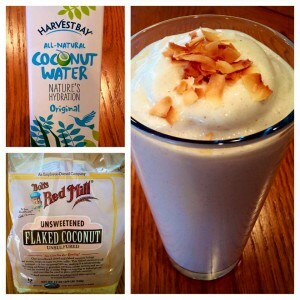 I’m back to posting new shake recipes once a week, and this week I made a Coconut Cream shake! Talk about YUMMY! It was the first time I used a liquid other than water, and it was really nice to have a change of pace with the flavor. I highly recommend it, along with any of the other shakes on my Recipes page. What’s your favorite shake recipe?! I’d love to get some new ideas! This entry was posted in Round 2 - 30 days. Sign up for isAgenix & Save!